In this post we will learn different Transition Styles between Kendo UI Mobile Views. To start with let us assume we have an application as following. This application consists of two views. On click of Kendo button, user will navigate to Other View. 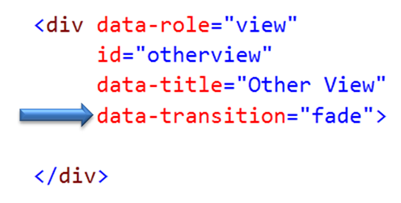 When set at application level same transition style will be applied to entire application. All views of the application will adhere to the same transition style. At application level transition style can be set by providing value of transition property in Kendo mobile initialization. Other option to set transition style is at view level. On navigating to this view user will experience transition style set at the view. 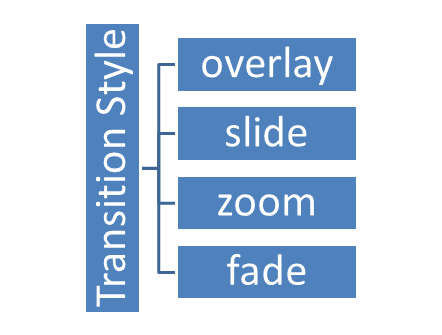 We can set transition style at control level as well. In following case we are applying transition style to a kendo button. 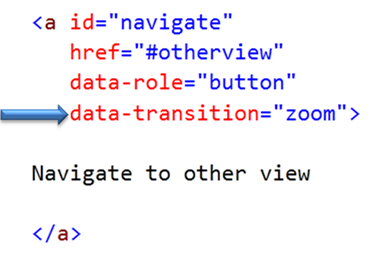 User will experience zoom transition behavior while navigating to view set in the href property of the keno button. 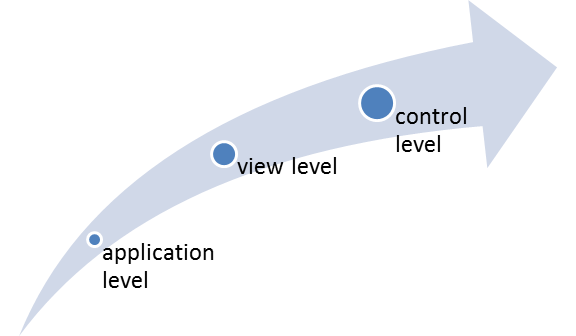 If transition style is set at all the three levels then Control level has highest priority whereas application level has lowest priority. In this way you can apply different transition style to the application. For your reference find the source code of above discussed application below. I cant find out from this article how to have the “back” button work.